Finding the right insurance is difficult and requires experience. Moreover, traditional user interfaces make this complicated by providing too much information, or sometimes the right information but at the wrong time. Consequently it is time consuming and frustrating to figure out insurance. 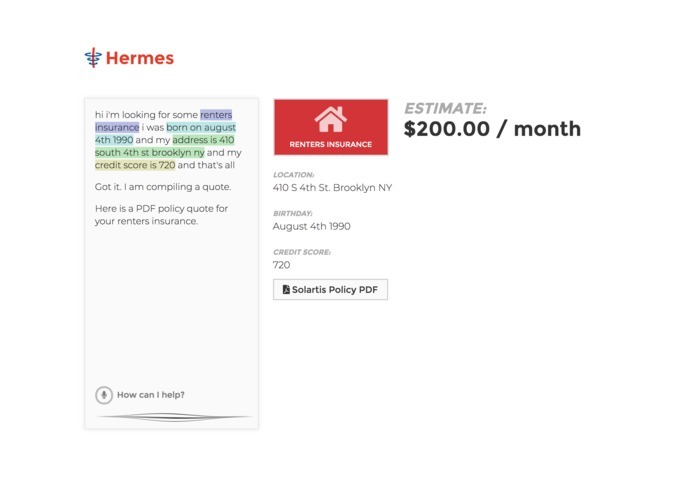 Hermes is the solution offering a fast, simple insurance process that is understandable for anyone. 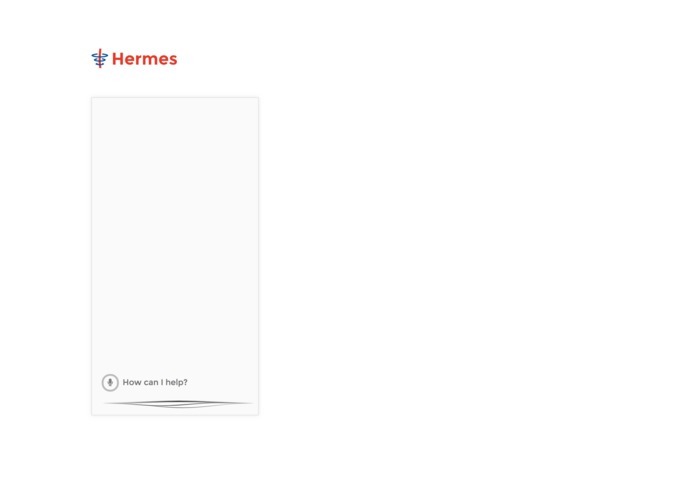 Why is it called Hermes? Well Hermes is the greek god of Roadways, travelers and merchants, in other words Hermes is like the god of insurance. Similarly, we can think of this tool like an all-knowing insurance assistant. 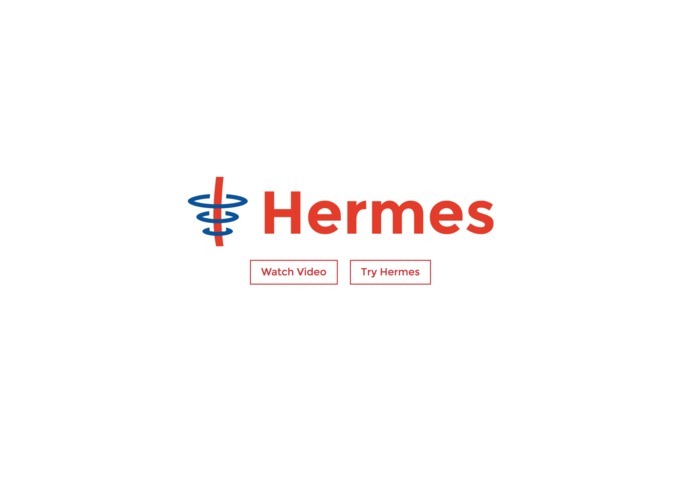 Talk to Hermes, explain what you are looking for and provide some details about yourself, and Hermes will respond quickly with a targeted quote to your particular situation. Integrating with the Solartis APIs was a bit unfamiliar territory for me, but once I connected it was quite simple and there was a good amount of documentation. Insurance can, and should be made a lot easier than it is today. I would love to work with Solartis if they find this interesting. Maybe this can serve as a further UX example, or provide another outlet for the Solartis APIs as an easy method to interact with the platform across all capabilities.